Learning about all the behind the scenes work that went into building this little village was fascinating, from the varying sizes of doors (depending on who would be standing in front of them during filming) to the fake tree, whose leaves were hand painted. 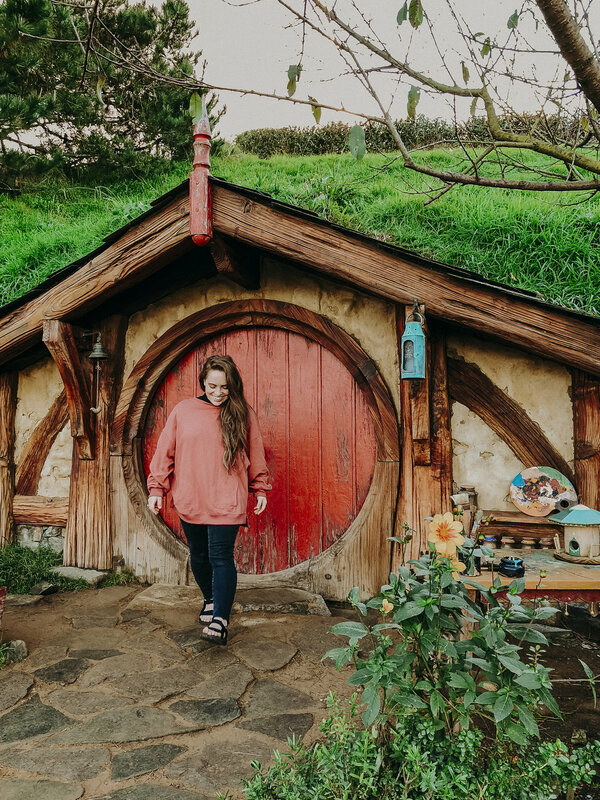 And since my sister, myself, and one other visitor were the only three paying much attention to our tour guide (mostly because most of our group didn't speak English), she let us keep a few of the leaves from now fake tree which sits above Mr. Baggins' cute, little house. Once our tour was over, we were able to warm up inside The Green Dragon Inn with some Ginger Beer and a sit by the fire. I found, while sitting there, in a comfortable, oversized armchair, sipping away at my ginger beer, with a roaring fire at my feet, that I could live the Hobbit life quite contentedly. 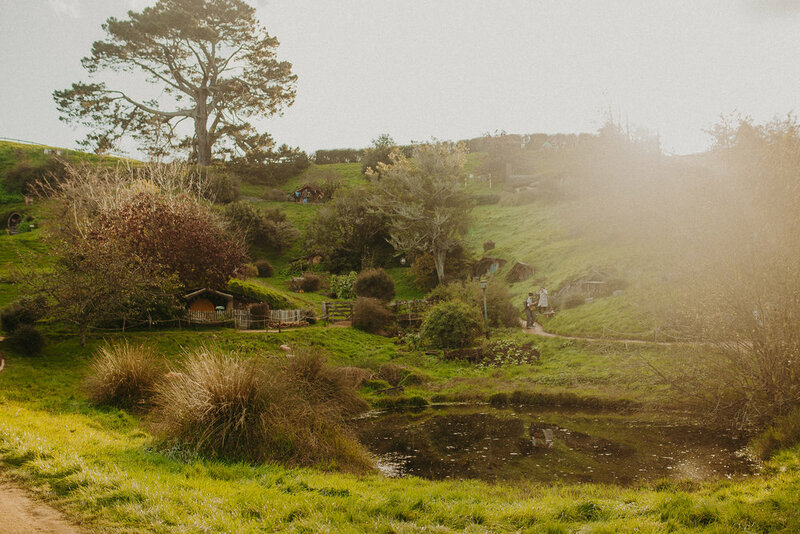 Our only regret with our visit to Hobbiton was that it wasn't on one of the banquet days. Twice a week they hold large, Hobbit banquets in The Green Dragon Inn, and it looks incredible! 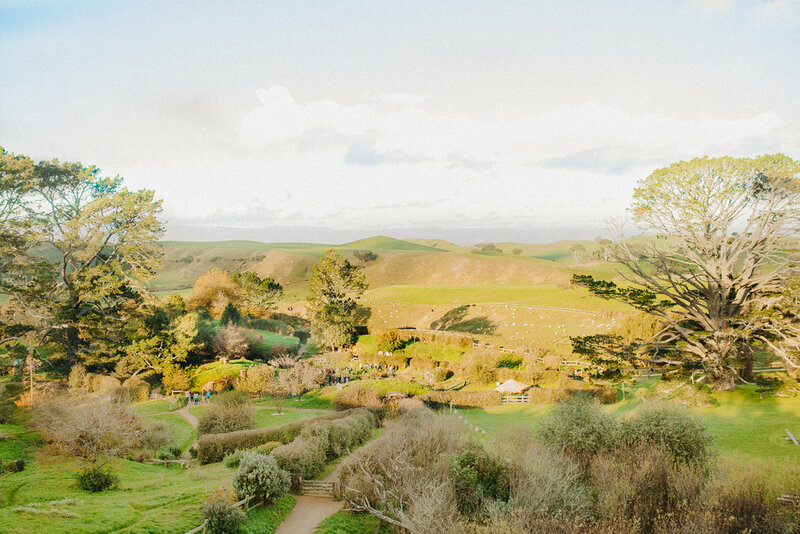 So if you ever visit Hobbiton, look into reserving a spot at the banquet. While it's a high cost for a meal, I feel like it would be worth it in the end! Fun Fact: The big tree in the back of this photo is the reason this location was chosen. It’s also the tree/area where Bilbo’s birthday party is held. 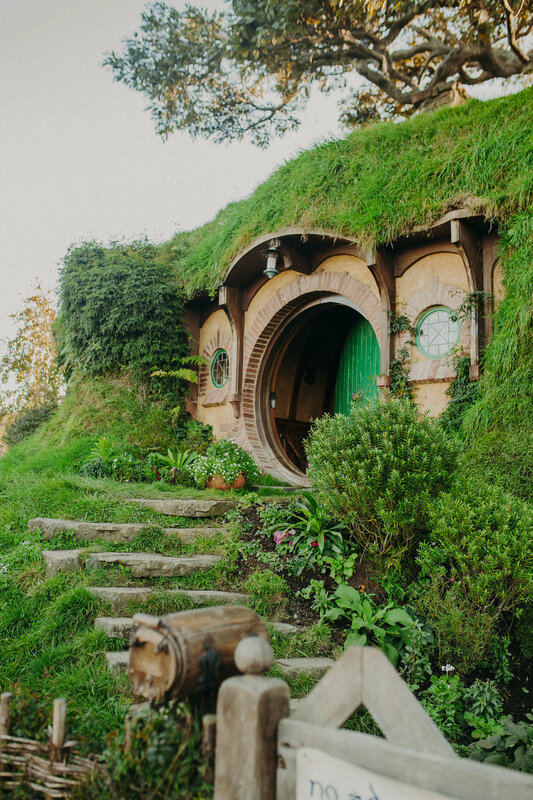 This Hobbit Home is the only one that visitors are allowed inside. Each home is recognized by the NZ Government as an actual house, but the insides are still just dirt and wood framing. I did not buy this, but I had to try it on!